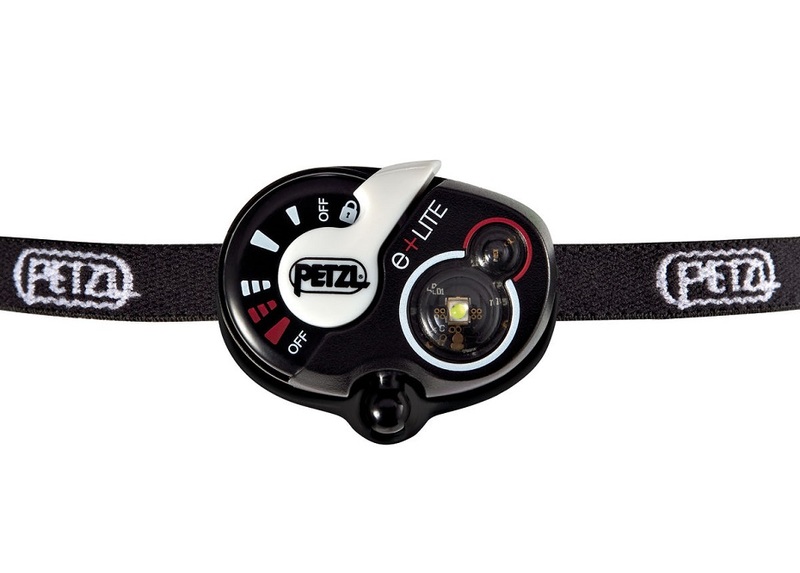 The e+LITE headlamp from Petzl is perfect for those adventures which you don't expect to need or want a headlamp, but are smart enough to never go without. Chock full of features, the e+LITE weighs just 26 grams (0.9 ounces). Stuff it in your pack and forget about it. Just remember you have it when you’re caught out! 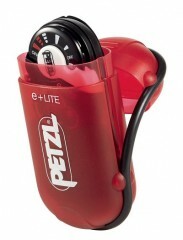 Included carrying case disappears into virtually any pocket. Head strap adjuster doubles as emergency whistle. 50 lumens of power and white/red LED options ensure you can see and be seen. Power switch can be locked out to prevent accidental operation. Temp range of -30C to +60C, waterproof to 1 meter. Able to be stored for 10 years on a single set of CR2032 batteries. Notes Strap adjuster doubles as whistle. I've been bringing this along as a back-up and supplemental light for many many years -- hard to believe a product still this innovative has already been along for so long. 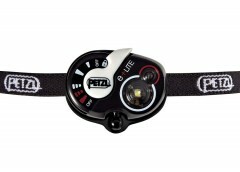 Shorn of its carrying case and strap, and instead clipped directly to a pack strap, this headlamp weighs almost nothing, and is so small as to be entirely unobtrusive. 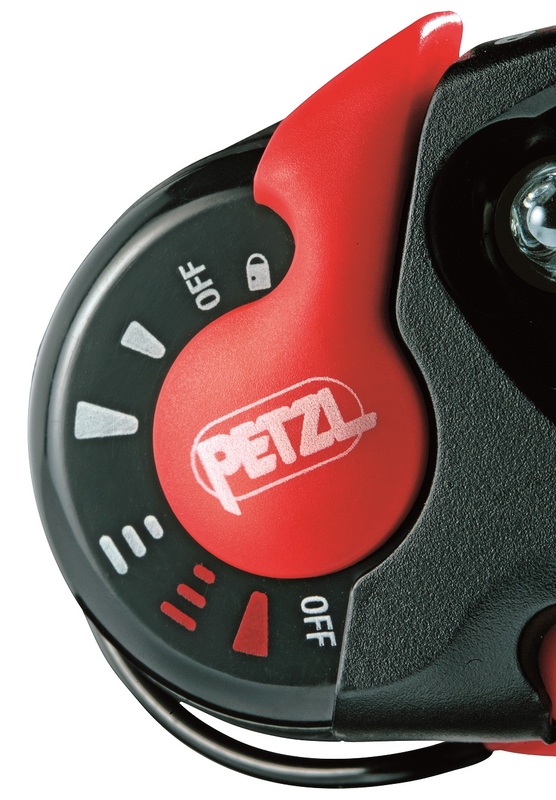 Yet the light is quite useful at short distances, and offers a versatile range of modes. Makes a great gift too for your ski partner who might otherwise have everything!